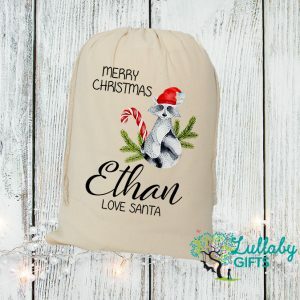 Santa will be excited to see these santa sacks waiting under the tree to be filled with gifts on Christmas eve for your little people or loved ones. 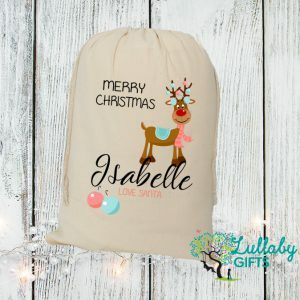 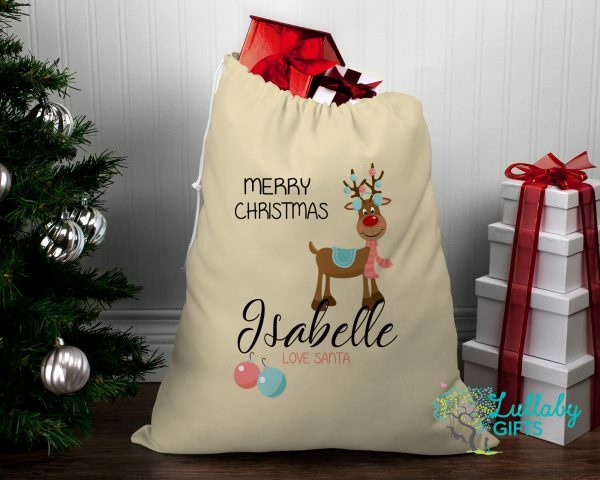 All sacks are individually made and printed right here at Lullaby Gifts made with with heavyweight cotton on natural or black material and features a drawstring . 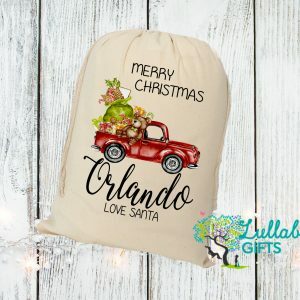 Nice and large to fit bulky items.